To the west of Looe Key lies the wreck of Adolphus Busch, Sr., sunk in 110 feet of water in 1998. this artificial reef is bursting with marine life. An often seen 350-puond jewfish usually can be seen as well as large grouper and millions of silvery bait fish. The sea growth on the Bush’s hull creates a giant wall of marine biology. This is an abandoned limestone quarry. 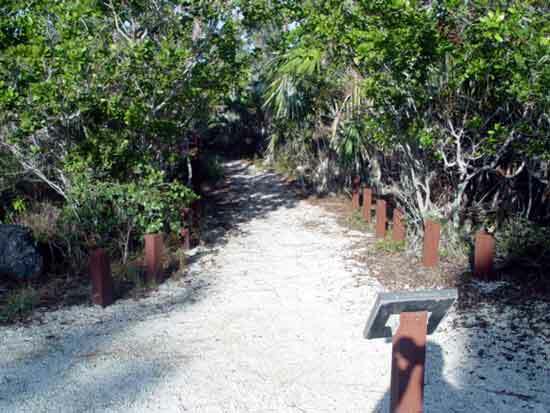 The rock material removed was used to build many of the original roads on Big Pine Key. Since there is no inlet or outlet to the Blue Hole, its existence is dependent on rainfall and from salt water which flows through the surrounding limestone. 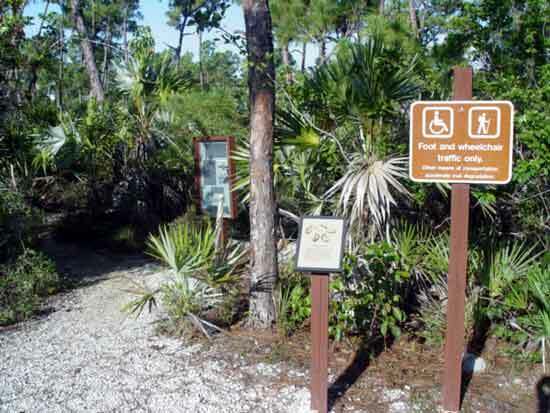 Fish, turtles, alligators and the occasional wading bird can be found in the Blue Hole Alligators can be seen hugging the shoreline, lazily sunning themselves. 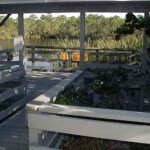 Do not feed or molest the alligators–it is dangerous and illegal! Access for the disabled is provided. 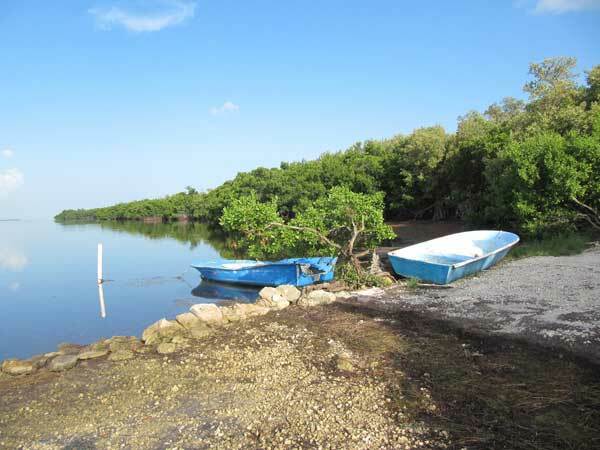 This boat ramp is a secluded place among the mangrove trees where you can enjoy this scenic view of the lower Florida Keys. 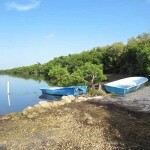 It’s a nice place to hang out and look at the many mangrove islands across the tranquil waters of the “back country”. The water off the ramp is only about one foot deep so it is only good for launching small boats or kayaks. To get there go north on Key Deer Blvd about 3 1/2 miles from US-1. 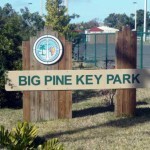 Turn right (across from the Blue Hole) on Big Pine St. Go to the second street, Kohen Street, and turn left (north). It’s at the end of this pretty island road. 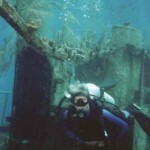 The Looe Key National Marine Sanctuary is widely regarded as on of the most spectacular reefs in the Florida Keys. Named after the H.M.S. 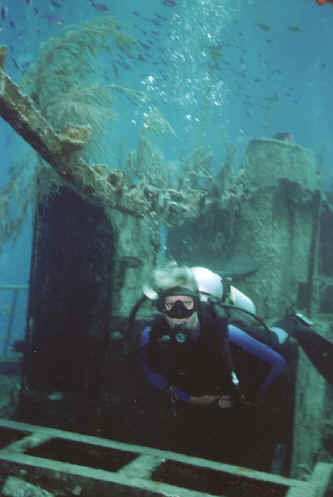 Looe, which sank in 1744, the sprawling sanctuary varies in depth from less than six feet to more than 100 feet, making it an ideal snorkeling and diving site for beginners and experts alike. 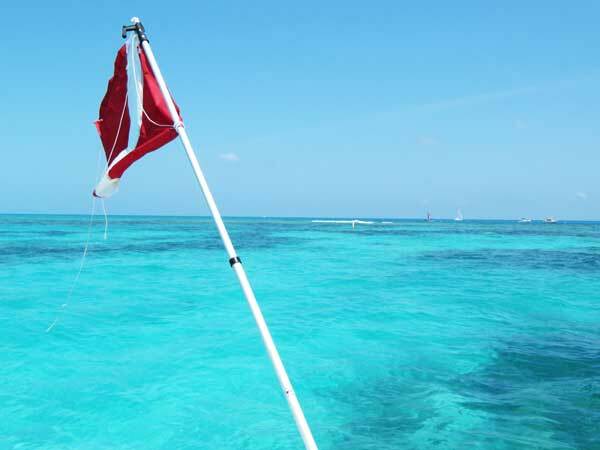 Looe Key boasts an impressive array of large star and brain coral, as well as colorful parrotfish, barracuda, loggerhead turtles, tarpon as big as a man and every other tropical fish imaginable. 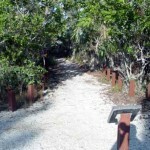 A 2/3 mile loop through pine rockland forest and freshwater wetlands. 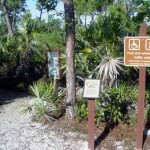 This pine rockland forest is the same as the Everglades just further south. 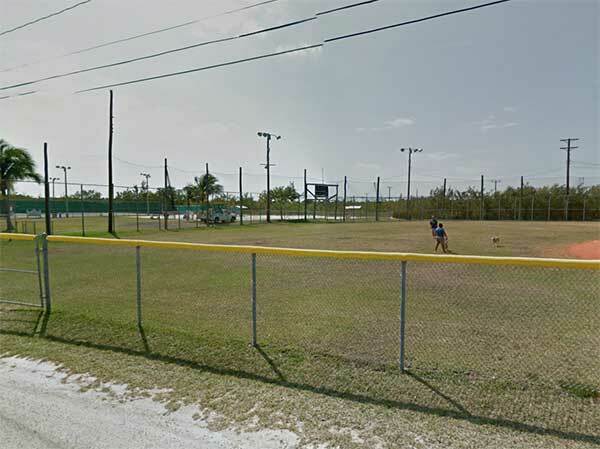 The dog park is behind the ball field on Key Deer Blvd about 2 miles north of the traffic light on US1. All purpose community park right on the water’s edge of Spanish Harbor. 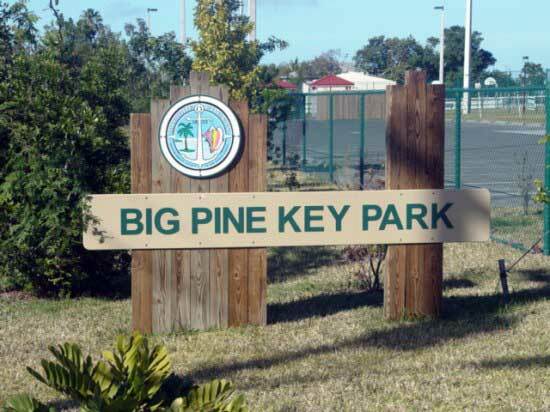 Turn north from US1 on County Road and go to the end. 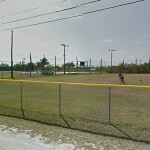 Athletic fields, bocce courts, tennis courts, skate board area, skate rink, picnic tables, and health and exercise path.